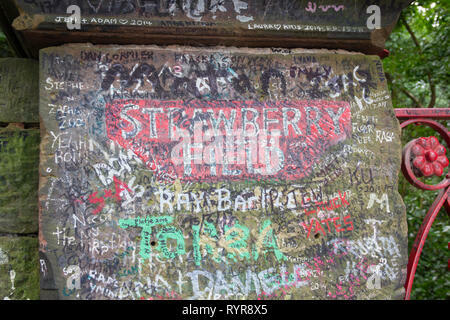 Strawberry Field stone gatepost on Beaconsfield Road, Woolton, Liverpool, the inspiration for Beatles/John Lennon's song 'Strawberry Fields Forever'. 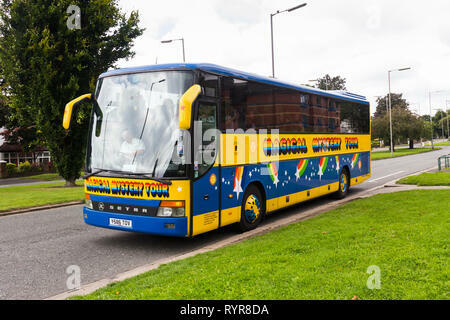 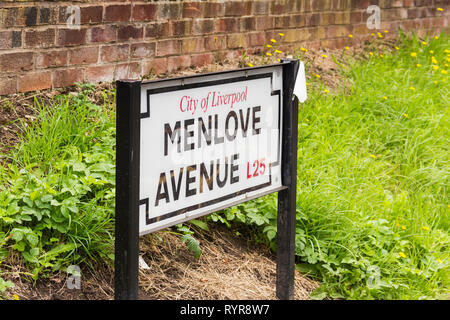 Beatles Magical Mystery Tour coach (not the original) parked outside the childhood home of John Lennon, Menlove Avenue, Woolton, Liverpool. 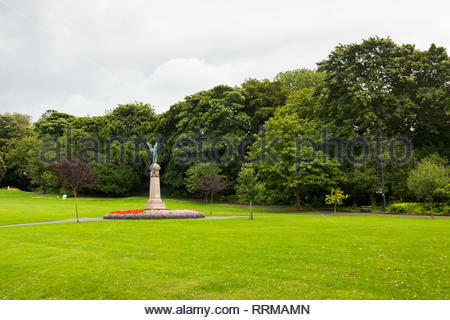 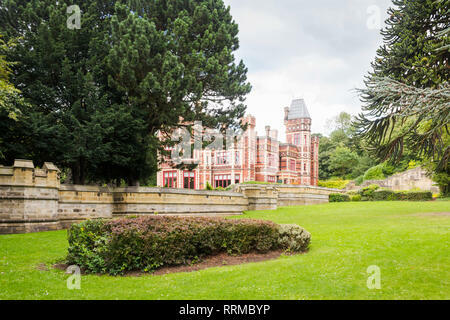 Formal gardens at the front of at Saltwell Towers in Saltwell Park, Gateshead, Tyne and Wear. 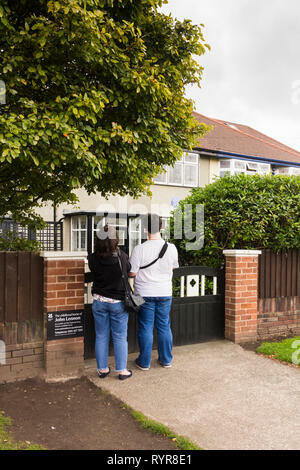 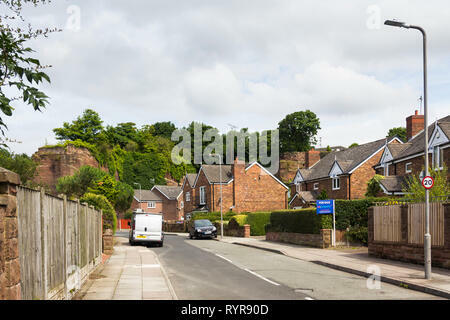 Semi-detached houses on Quarry Street, Woolton, Liverpool. 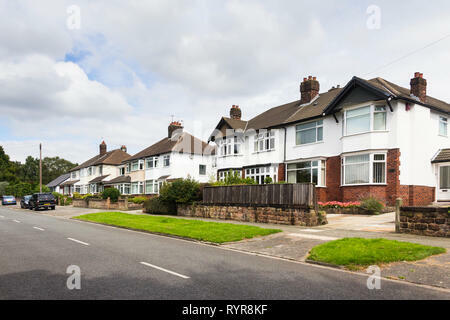 Suburban houses dating from the mid twentieth century. 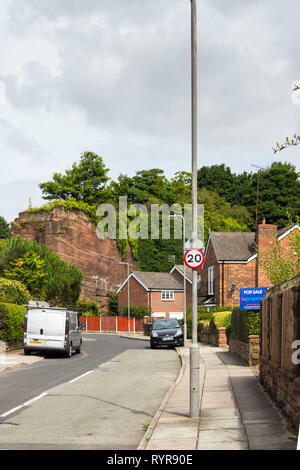 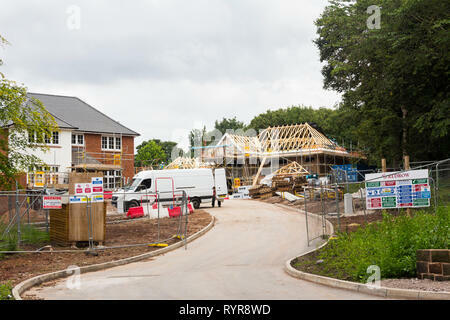 The Old Quarry, a road in Liverpool with houses built in an old red sandstone quarry. 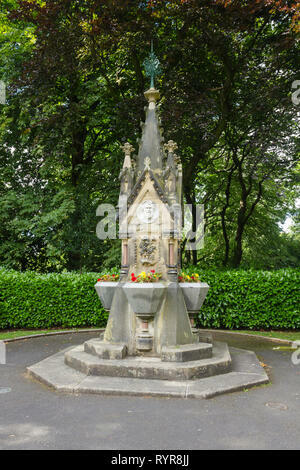 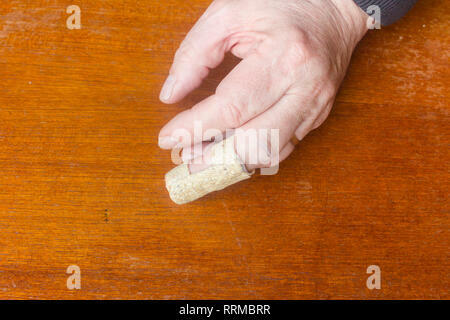 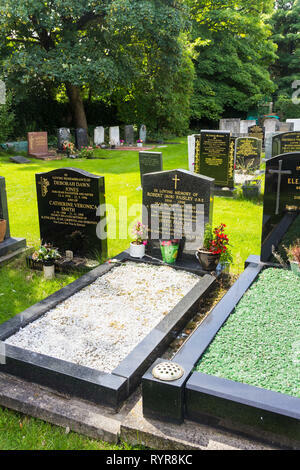 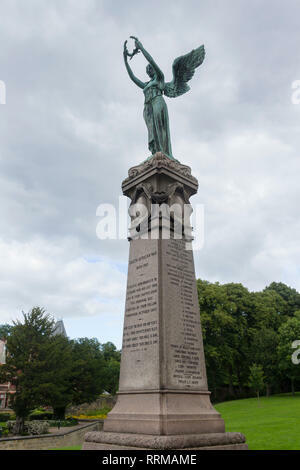 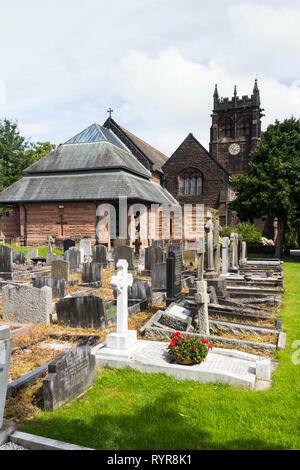 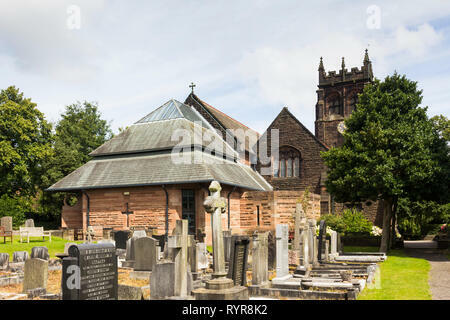 Stone from this area was used to construct Liverpool cathedral. 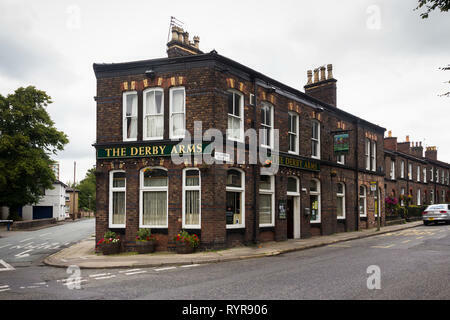 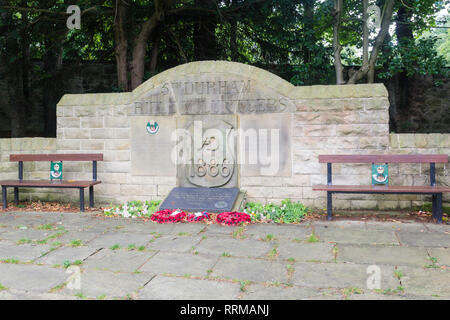 The Derby Arms Allerton Road,Woolton, Liverpool. 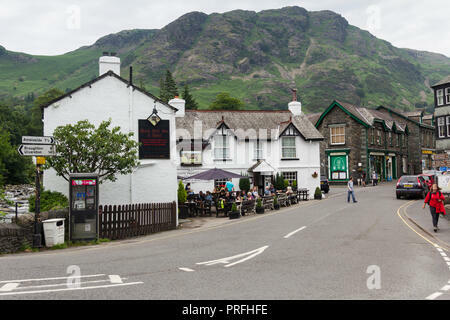 A traditional English local pub. 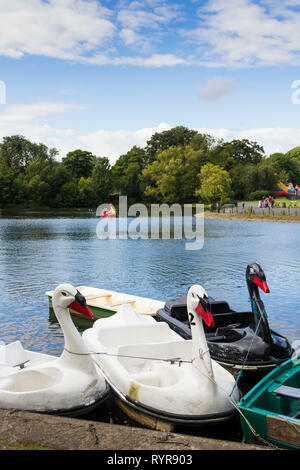 Swan-themed pedalo hire boats on the boating lake in Saltwell Park, Gateshead, Tyne and Wear. 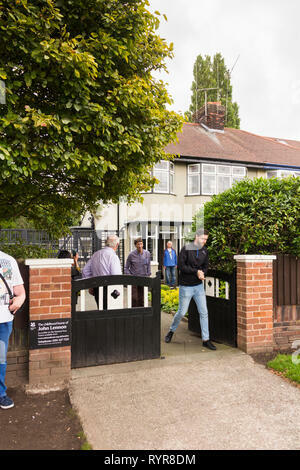 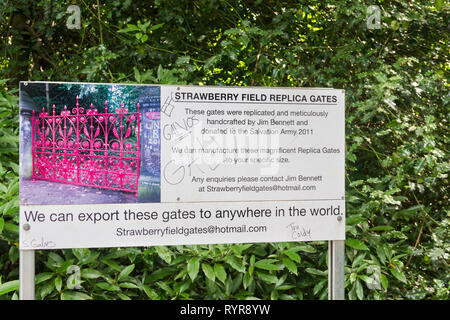 Strawberry Field replica gates sign on Beaconsfield Road, Woolton, Liverpool, inspiration for Beatles/John Lennon's song 'Strawberry Fields Forever'. 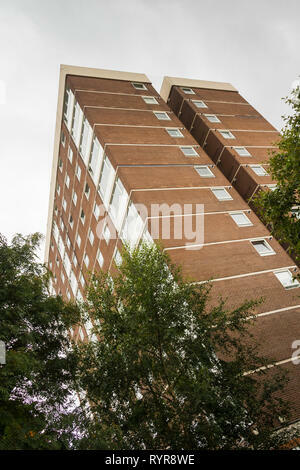 Rydecroft high rise flats, Evesham Close, Woolton, Liverpool. 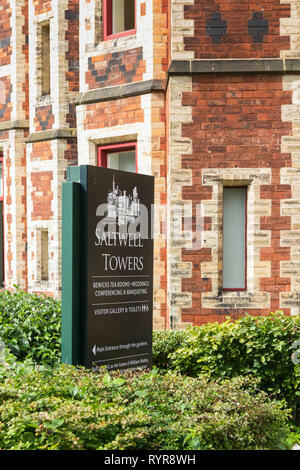 This thirteen storey, 38.4 metre tall residential apartment block was completed in 1970. 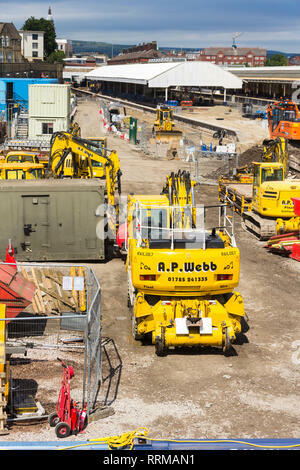 Constuction machinery, supplied by A.P.Webb, a specialist railway construction contractor, involved in the reconstruction of platform five at Bolton. 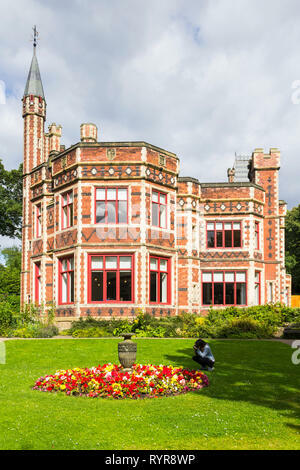 Saltwell Towers in Saltwell Park, Gateshead, Tyne and Wear. 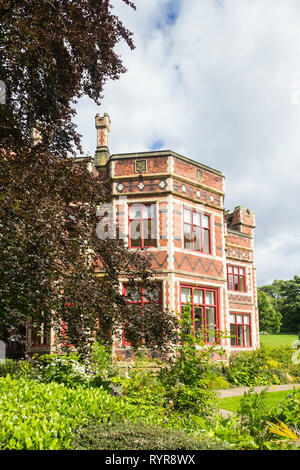 The mansion, sited in the then Saltwellside estate, was begun in 1856. completed in 1871. 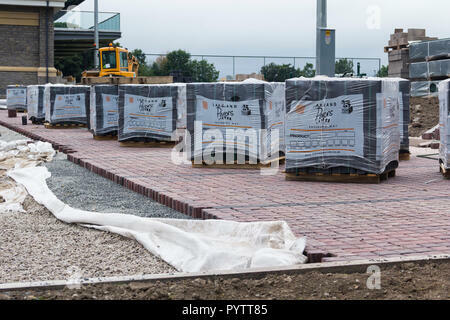 New railway track being laid at Bolton on the Preston to Manchester railway line as part of the route's electrification and modernisation programme. 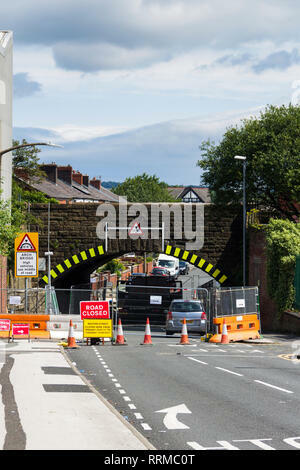 Low railway overbridge on Weston Street, Bolton, fully closed to road traffic for repair work lasting several weeks in the summer of 2017. 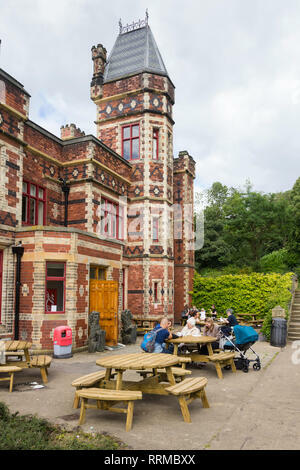 Outside terrace seating at Saltwell Towers cafe in Saltwell Park, Gateshead, Tyne and Wear. 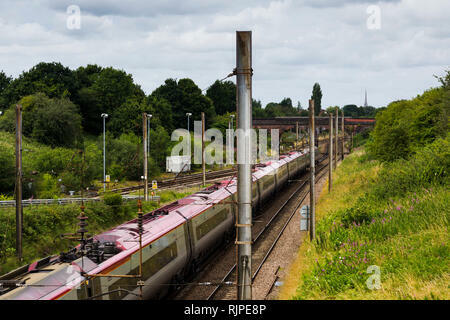 Class 156 diesel multiple unit train leaving Bolton. 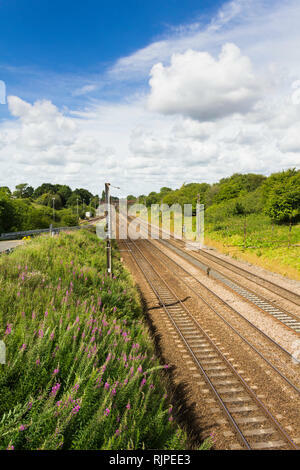 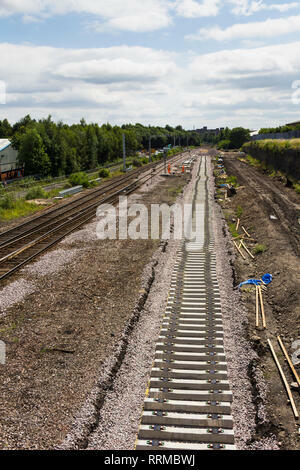 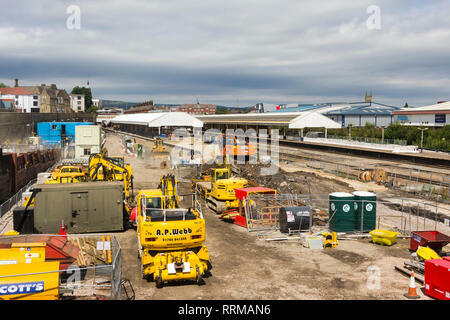 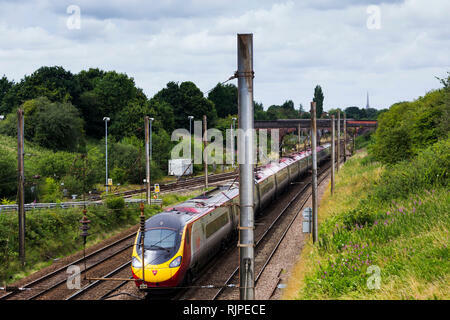 bound for Manchester Victoria as new railway track is being laid. 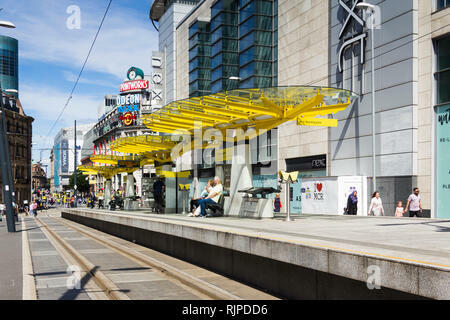 Exchange Square Manchester Metrolink station on Corporation Street in in Manchester city centre. 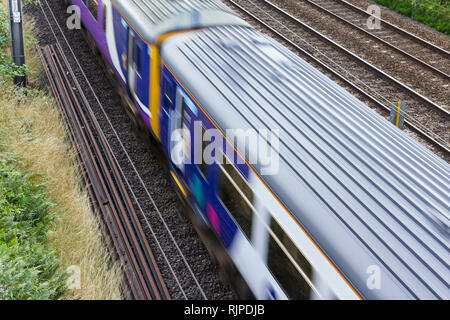 Northern Rail class 156 Sprinter diesel multiple unit train passing at speed with motion blur. 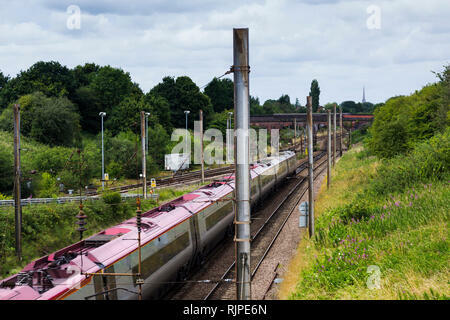 Virgin Pedolino express passenger train heading north on the West Coast Main Line, near Farington curve junction, Preston, Lancashire. 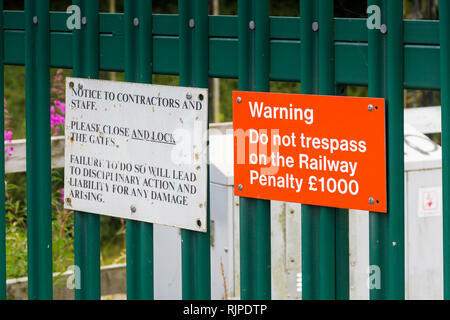 Do not trespass on the railway warning sign on an access gate on Flag Lane, Penwortham, near Preston. 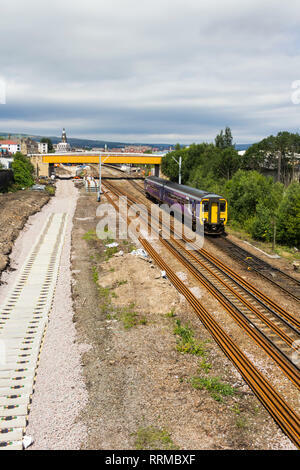 The gate provides vehicle access to the railway. 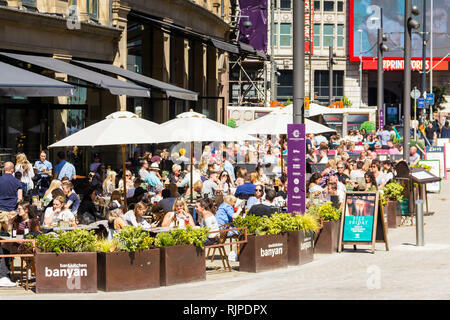 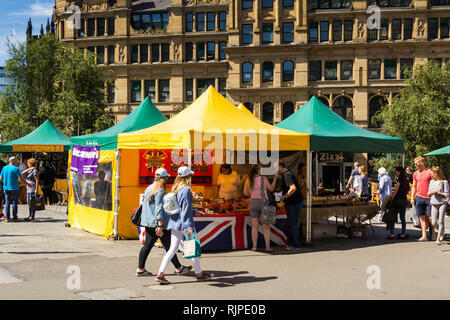 Street food market stalls in Exchange Square, Manchester, outside the old Corn Exchange. 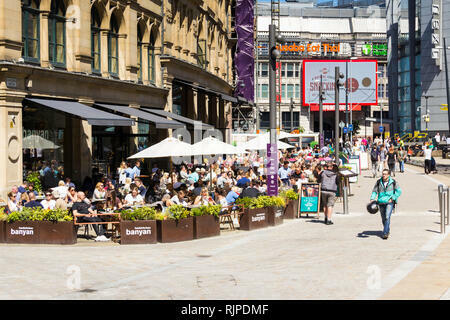 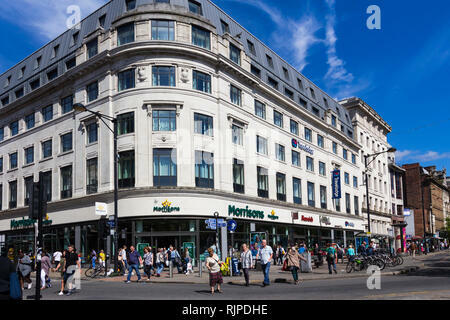 Entrance to the Arndale Centre on Corporation Street, Manchester, adjacent to Exchange Square. 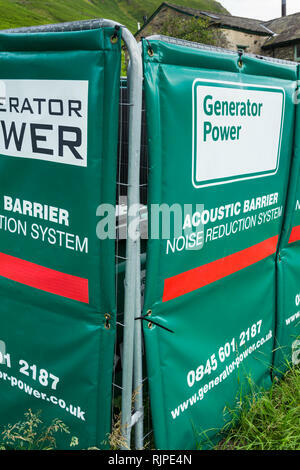 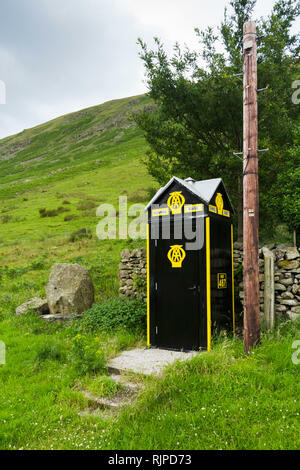 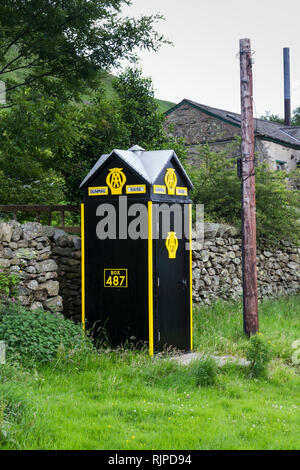 Temporary acoustic barrier surrounding a large portable electricity generator sited outside an isolated rural building in the Lake District. 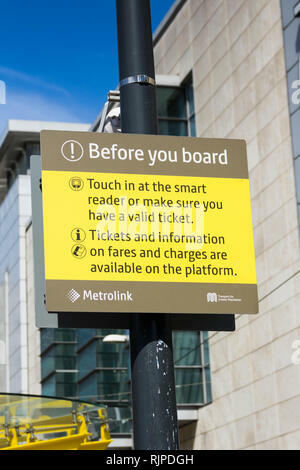 Sign at a Manchester Metrolink tram station warning passengers to make sure they have a valid ticket before boarding. 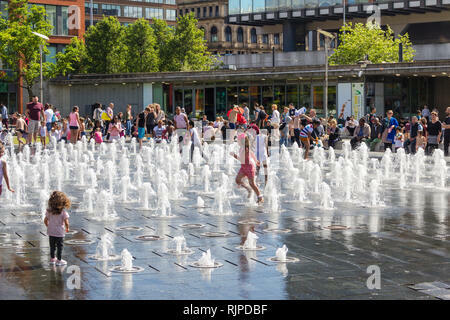 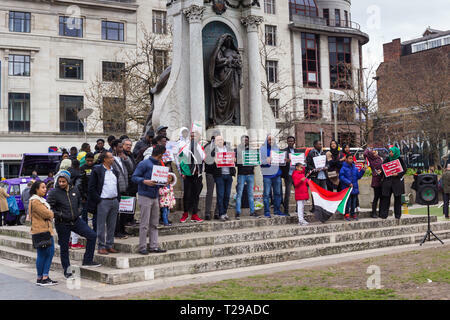 Children playing in the water fountains in Piccadilly Gardens, Manchester on a warm day in summer. 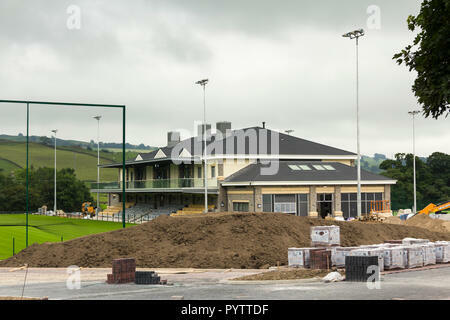 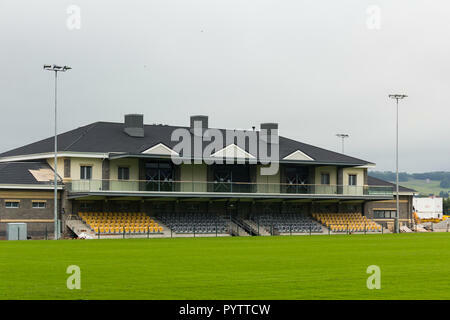 Spectator stand and extensive clubhouse facilities costing £10m, nearing completion at Mint Bridge, the new rugby union football ground in Kendal. 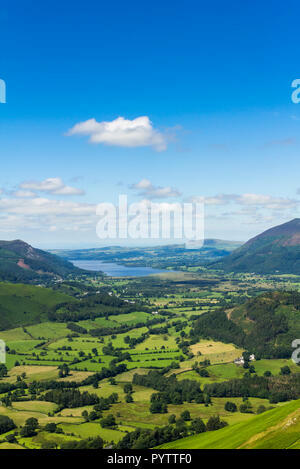 Newlands valley Cumbria, looking north towards the distant Bassenthwaite Lake from the summit of Cat Bells. 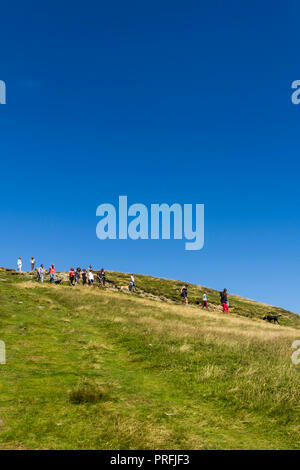 A group of young people walking near the summit of Cat Bells (451 metres) Keswick, Cumbria, heading towards the shores of Derwent Water. 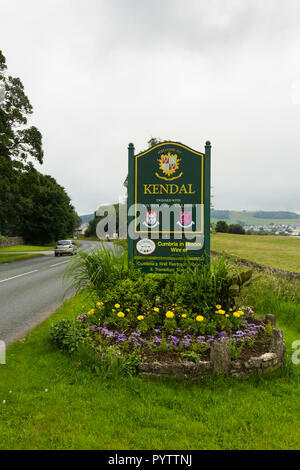 Welcome to Kendal sign and flowerbed on the A6 road, north east of Kendal. 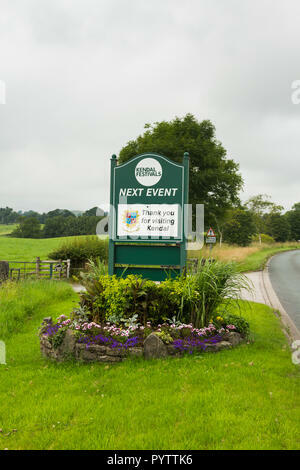 The sign highlights the town as winner of the Cumbria in Bloom competition. 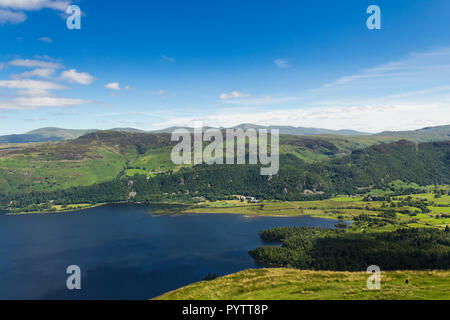 Derwent Water and Keswick in the English Lake District, viewed from Catbells. 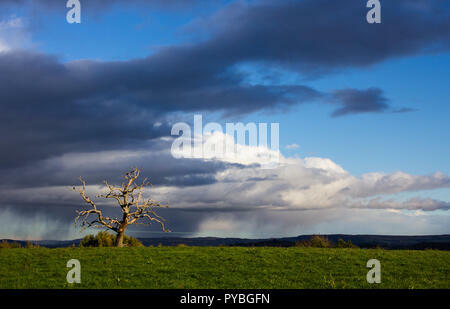 In the distance is Blencathra and to the right is Castlerigg fell. 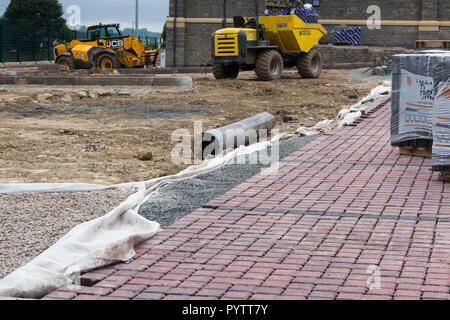 Block paving being laid with sub-base materials visible in the new car park at Mint Bridge, the new rugby union football ground in Kendal, Cumbria. 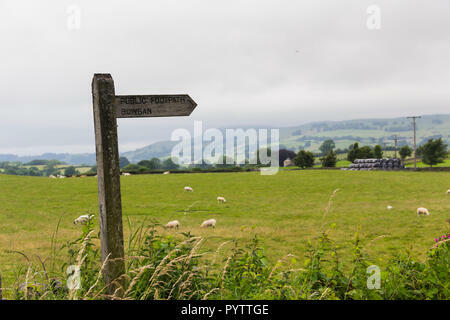 Public footpath sign leading off Shap Road, the A6 road, north-east of Kendal. 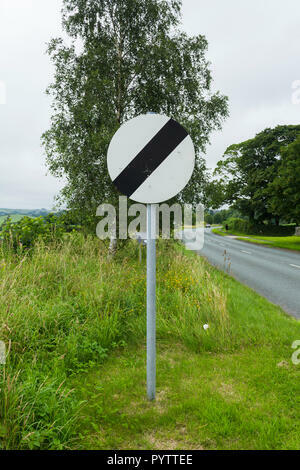 The sign is labelled Bowban in error, it should read Bowbank. 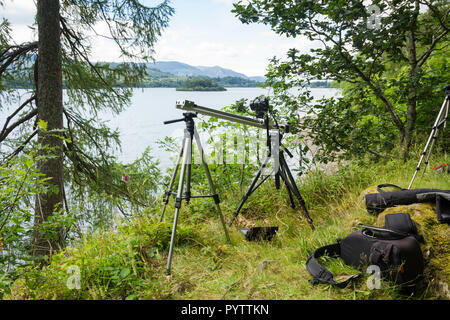 Timelapse setup. 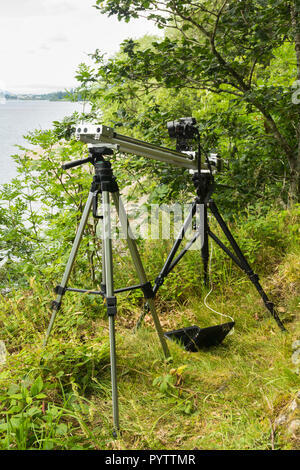 A Canon Powershot camera is mounted on a home-made motorised camera slider, on the banks of Derwentwater for timelapse filming. 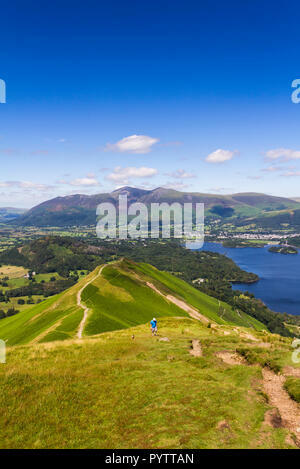 The well-worn footpath across Skelgill bank leading to the summit of Cat Bells (451 metres) near Keswick, Cumbria. 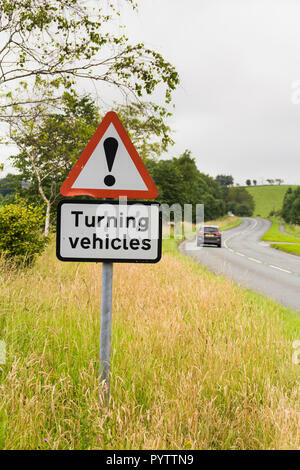 Turning vehicles warning road sign near a caravan and camping site on the A6 road near Kendal. 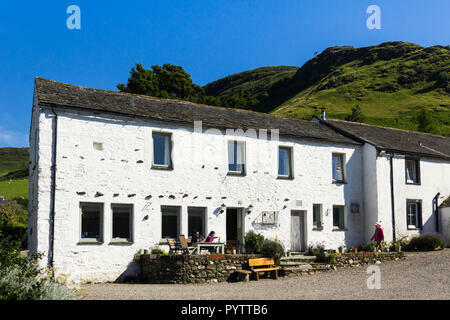 Littletown Farm in the hamlet of Littletown, Cumbria. 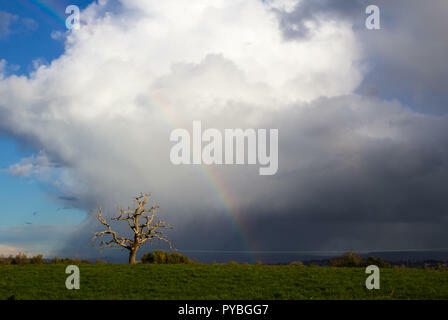 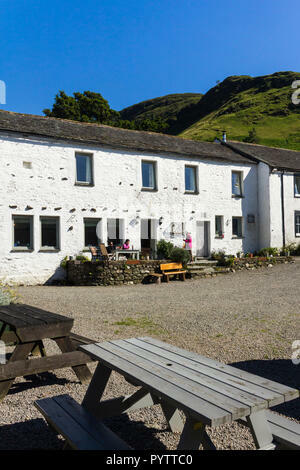 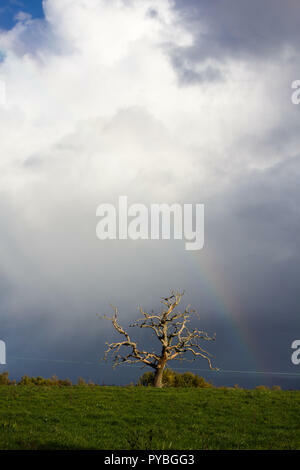 The farm provides visitor accommodation, along with day visitor parking space and refreshments. 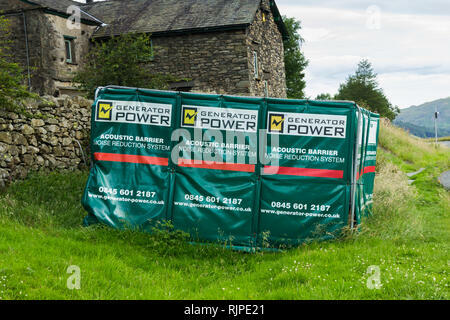 Thank you for visiting Kendal sign and flowerbed on Shap Road, the A6 road, north east of Kendal. 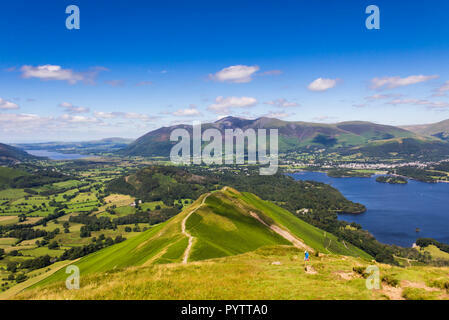 Derwent Water and Keswick overlooked by Skiddaw and distant Blencathra in the Lake District, viewed from the summit of Catbells (451m/1,480 ft). 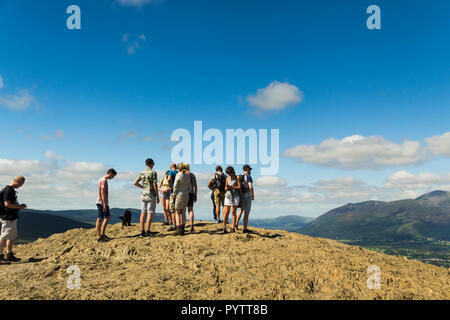 A group of young people and other walkers on the footpath leading south from the summit of Cat Bells (451 metres) near Keswick, Cumbria. 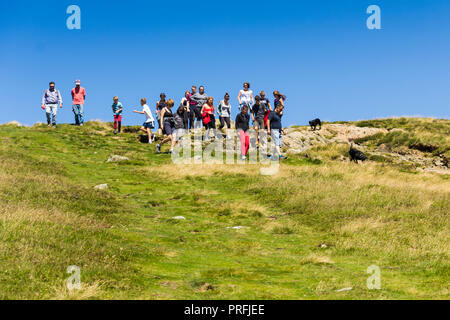 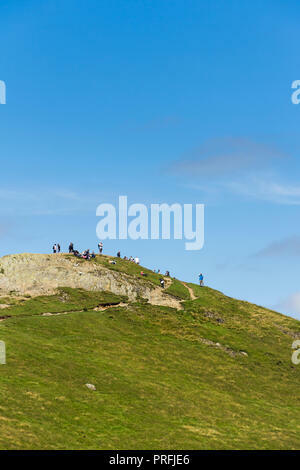 Walkers enjoy the experience of reaching the summit of Cat Bells (451 metres) near Keswick, Cumbria. 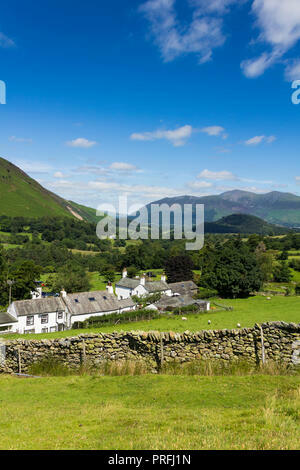 Newlands valley Cumbria, looking south-west from Littletown towards Scope End with Hindscarth beyond it. 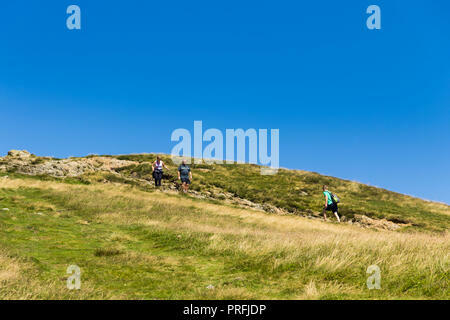 The peak to their right is Robinson. 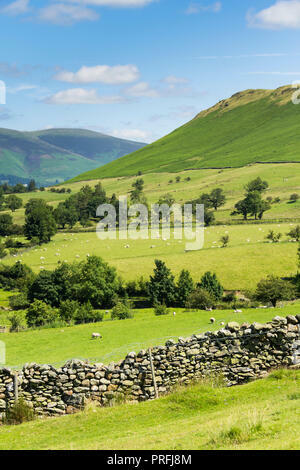 Newlands valley Cumbria, looking north from its eastern slope above Littletown, towards Skelgill Bank. 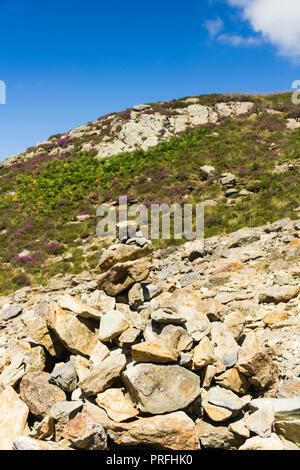 Roughly built cairn amid a patch of loose rocks next to a footpath on the south western approach to Cat Bells (451 metres) near Keswick, Cumbria. 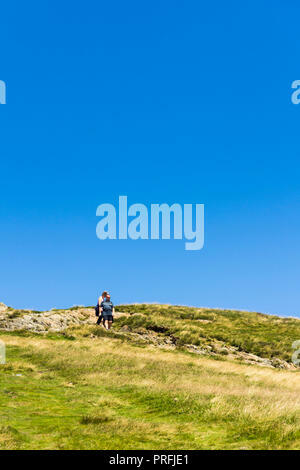 Two people, an adult couple, man and woman, on the footpath leading south from the summit of Cat Bells (451 metres) near Keswick, Cumbria. 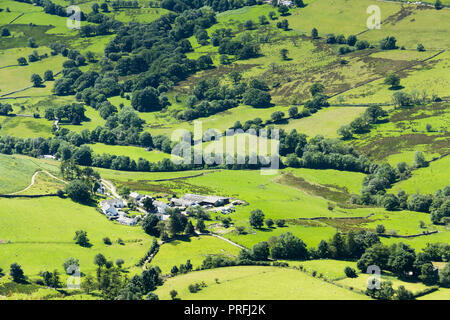 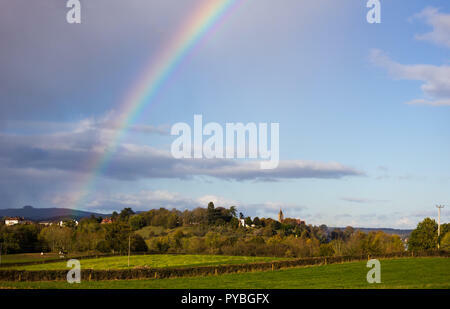 From the summit of Cat Bells, looking down on the hamlet of Littletown and fields of green in Newlands valley Cumbria. 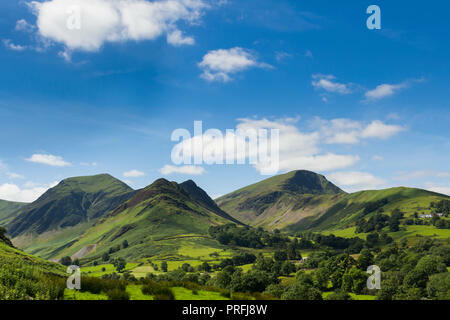 Cat Bells (451 metres) south western approach with the path from Littletown rising on the steepening slope. 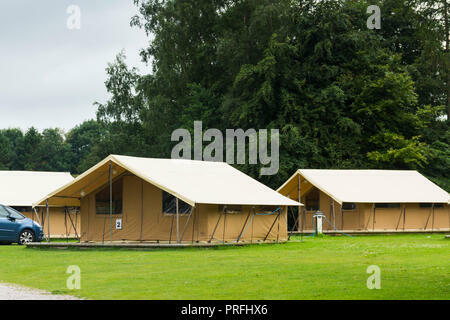 Glamping Tents at the Windermere Camping and Caravanning Club site, well-equipped semi-permanent pre-erected two-bedroom, six berth safari tents. 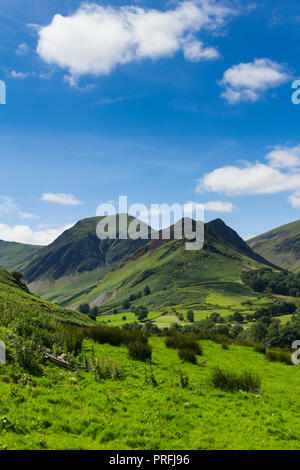 Newlands valley Cumbria, looking south-west from Littletown towards Scope End with Hindscarth beyond it. 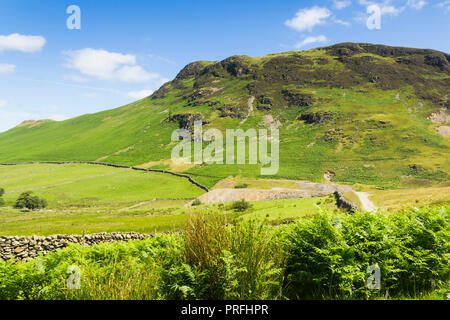 Beyond these peaks lies Buttermere Fell. 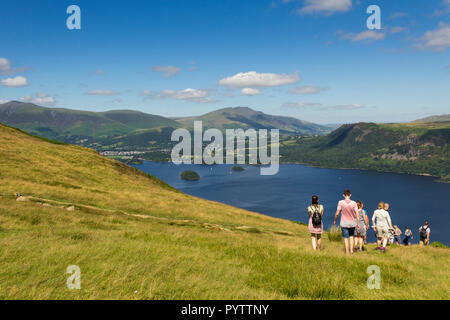 Three walkers approach each other on the footpath leading south from the summit of Cat Bells (451 metres) near Keswick, Cumbria. 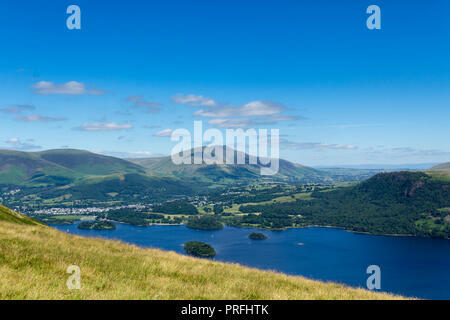 Derwent Water and Keswick in the English Lake District, viewed from the summit of Catbells (451 metres/1,480 ft). 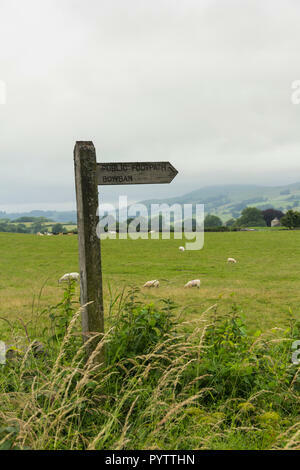 In the distance is Blencathra.